Combine all ingredients in a stirring glass and stir with ice. 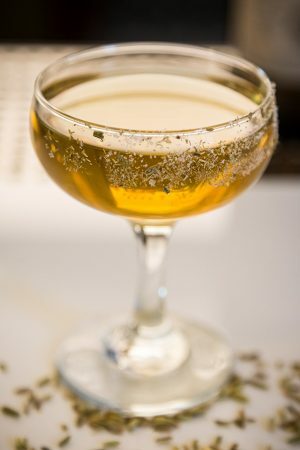 Strain into a coupe half-rimmed with fennel salt*. *Fennel Salt: Lightly toast 2 tablespoons of dried fennel seeds until fragrant. Use a spice grinder to coarsely grind the fennel and then combine with 1 tablespoon fine sugar and 1 tablespoon coarse salt.